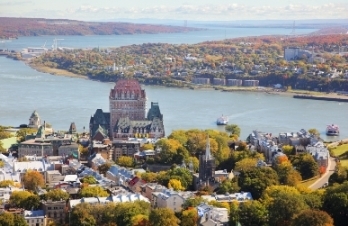 Consumers in Quebec are confident in their knowledge about the process of buying a home and arranging a loan to buy it. A Scotiabank survey found that 75 per cent of current homeowners feel they have the ability to buy their next home. However, millennials and those on incomes below $50K have less confidence when it comes to the mortgage process. "Homebuyers who have been through the process before have the benefit of knowing what worked for them in the past and what didn't work," said Carole Chapdelaine, Senior Vice President, Quebec and Eastern Ontario Region, at Scotiabank. Mortgage rates are the top consideration (85 per cent) for those planning to buy a home in the next 12 months while the mortgage term (54 per cent), flexibility of payments (34 per cent) and advice from an expert (17 per cent) are also key considerations.